Hello summer! 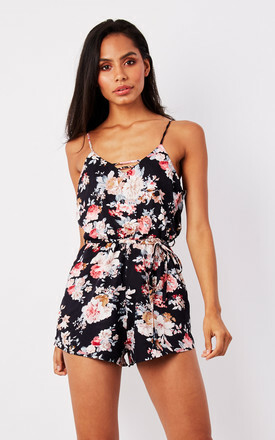 Celebrate summer in this floral playsuit with detailing on the V-neck line. Perfect for your well deserved break, whether it's a weekend picnic, festival or sunny getaway.